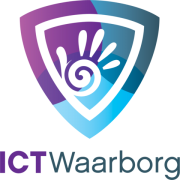 ICTWaarborg is the branch organization for companies that supply ICT products and ICT services to consumers and / or companies. This can be done in a physical showroom, online or on location. The aim of ICTWaarborg is to represent the interests of these companies in general and in particular of affiliated companies. More than 1,200 both large and small companies are affiliated with ICTWaarborg to stand stronger together in the market. For whom is ICTWaarborg intended? ICTWaarborg is the contact point for the member companies (in some cases also for non-members), for their clients (private and business) and for the suppliers of companies that are active in the sale and supply of ICT products and services. ICTWaarborg wants to be a strong binding factor for its member companies and actively inform them in a wide area. In addition, ICTWaarborg does not want to impose on affiliated companies ‘what to do’: the individuality and responsibility of the entrepreneur are paramount! Customers (consumers, companies, institutions), suppliers and institutions (government organizations, research and educational institutions) can call on ICTWaarborg for information and – where necessary – support. ICTWaarborg has a certification procedure that tests companies on a number of important points. A company certified by ICTWaarborg therefore deserves the predicate ‘reliable’. If you have a problem where you do not join the company affiliated with ICTWaarborg, ICTWaarborg offers you a number of possibilities to come to a solution. For consumers there is the possibility of mediation, where the condition is that no other party is involved to come to a solution. For business customers there is the possibility to call in ICTWaarborg Mediation when the affiliated company uses the General Terms and Conditions of ICTWaarborg – B2B. This makes ICTWaarborg unique, because you will not find a financially more accessible possibility anywhere in the industry to get a ruling on a business dispute. Consumers who do business with a company that is a member of ICTWaarborg can be confident that the general terms and conditions fully comply with consumer legislation and that there is nothing to the detriment of the consumer. ICTWaarborg also offers the most certainty with regard to the conditions! For the business market, ICTWaarborg has developed a set of conditions that is specific to the ICT sector. With separate modules for (web) applications, hosting / SaaS and hardware. Even after the warranty period, the company affiliated with ICTWaarborg can still be contacted if a product or service shows defects. If the company goes bankrupt, up to one year after the date of purchase / the date on which the service was delivered, the ICTWaarborgFonds Foundation can go for defects that fall under the concept of non-conformity. If a company affiliated to ICTWaarborg goes bankrupt, Stichting ICTWaarborgFonds ensures that the obligations with regard to the manufacturer’s warranty are fulfilled for another year. The maximum warranty period is 3 years after the purchase date. If special arrangements have been made during the sale and the company affiliated to ICTWaarborg goes bankrupt, the ICTWaarborgFonds Foundation will ensure that the agreements are complied with for a year after these agreements have been made. This in so far as it concerns agreements that can, given the purchase, be called reasonable and fair. You want assurance that you are not out in the cold when a company with whom you have an ongoing contract ends its activities. ICTWaarborg offers the assurance that in that case we will put you in contact with one or more companies that can continue the services under the same conditions or conditions that come closest to this. Please note: payments, agreements on products to be delivered and service contracts are never covered by the guarantee in the event of bankruptcy. In addition, the securities offered by us only relate to the provision of services or purchases made during the period that the company concerned was / was affiliated with ICTWaarborg. 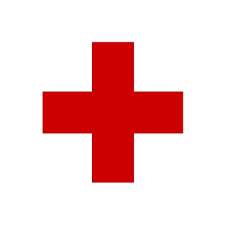 The securities mentioned do not apply if the total financial interest of a consumer can exceed € 2500.